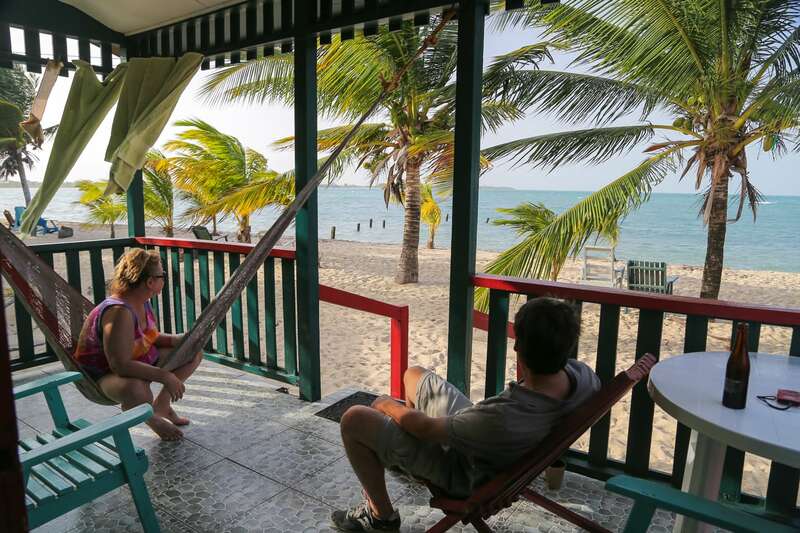 After a relaxing time back in PG, we head for Placencia — Southern Belize’s own beachy gem — for a weekend of sand and surf, and this particular weekend: LOBSTERFEST! 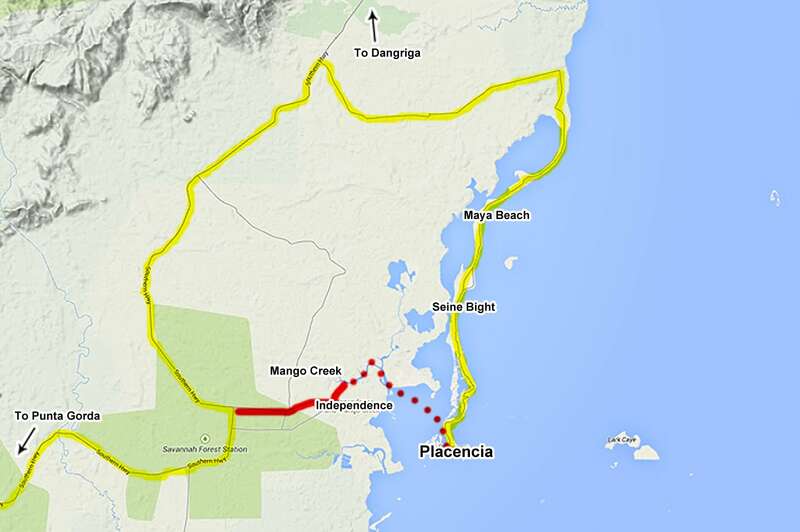 Map: Two routes to Placencia: Across the water via water taxi [red] or around the peninsula [yellow]. My parents recently came to visit us in Belize for three weeks. 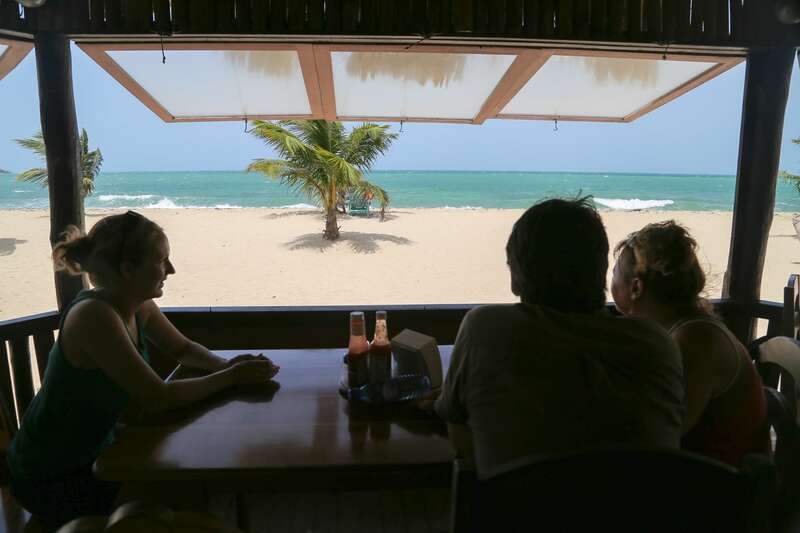 Most of the trip’s itinerary was closely guarded from them (per their wishes), but by the end of week two it became quite evident that we’d be making a stop for a few nights in Placencia for the beachside village’s biggest annual event: Lobsterfest! Placencia’s about 30 miles north of PG (as the crow flies), though it generally takes about 1.5 hours to get to the village from where we live. 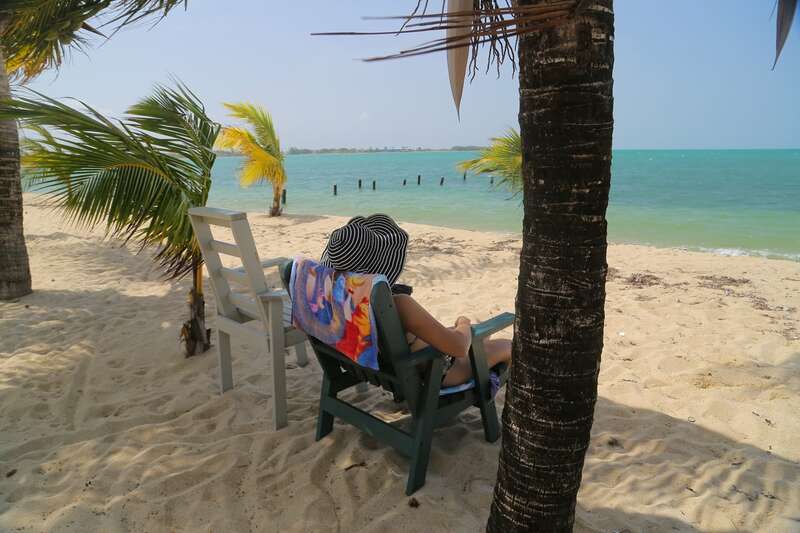 Given Placencia’s white sands, warm water, very appealing vibe and proximity to PG, we found ourselves visiting Placencia more than any other place outside of Toledo during our time in Southern Belize. The visit with my parents would be trip #7. 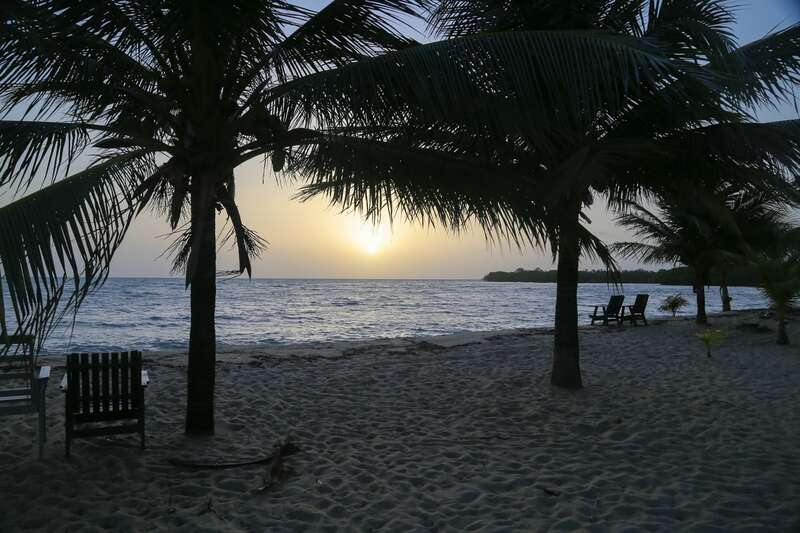 Placencia has played a big part in our time here. Strangely, however, I’ve never written a post about the place…until now. 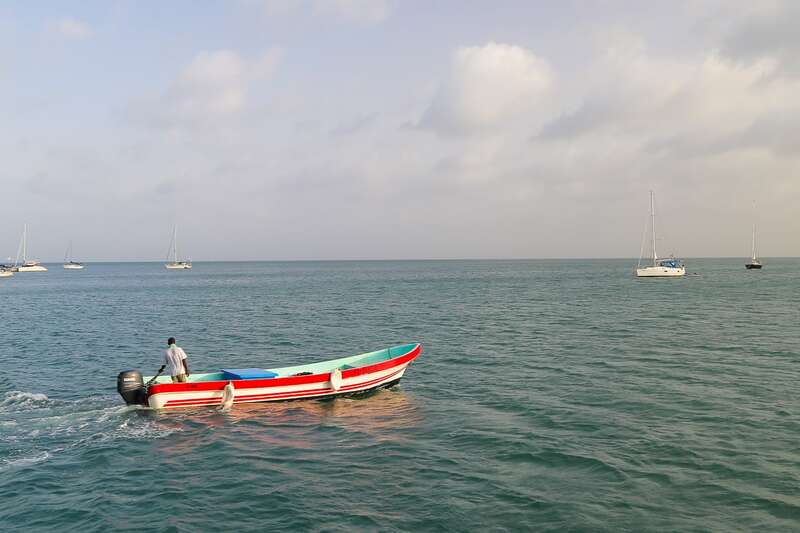 On a typical visit to Placencia, we’d either hop the express bus or drive to Mango Creek (about an hour either way, longer on a non-express bus) and hop the Hokey Pokey water taxi across to the peninsula (about 10-15 minutes — red route on map above). A few times, however, we’ve elected to drive all the way around and down the peninsula into Placencia village at the tip of the long narrow strip of land (yellow route on map above). The entire road to the tip of the peninsula is now paved and was only finished very recently. The drive is scenic and pleasant — if not for the speed bumps all along the entire stretch of the peninsula highway — but takes more fuel and more time to do (adding an additional hour from the Independence turn off). We opted to go around this time because it meant we wouldn’t be beholden to the water taxi schedule, we wouldn’t have to worry as much about all of our luggage (we were sending two large suitcases back with my parents, in addition to their own carry-ons and we wouldn’t be returning to PG before their flight), we were heading northward after Placencia anyway, and my parents were interested to see the beachfront properties and developments they had heard much about lining the way down. 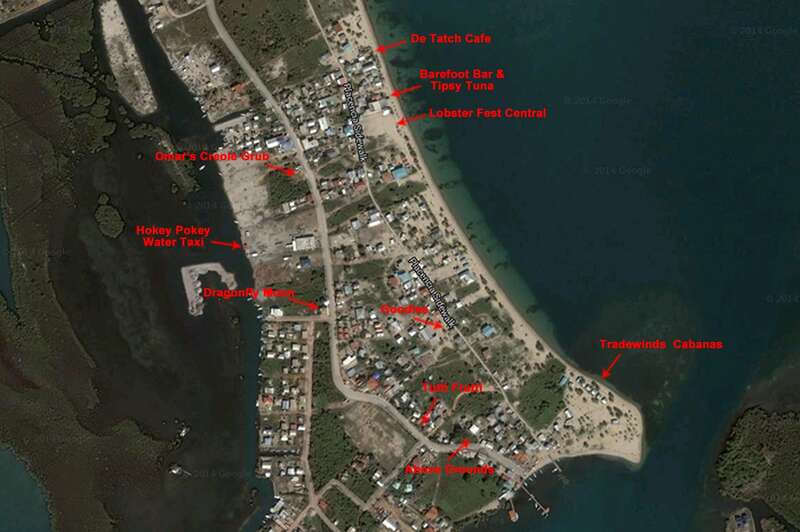 Map: Placencia village and points of interest from our June visit. We knew it would be Lobsterfest, the biggest event of the year in these parts, but didn’t know what to expect beyond that. 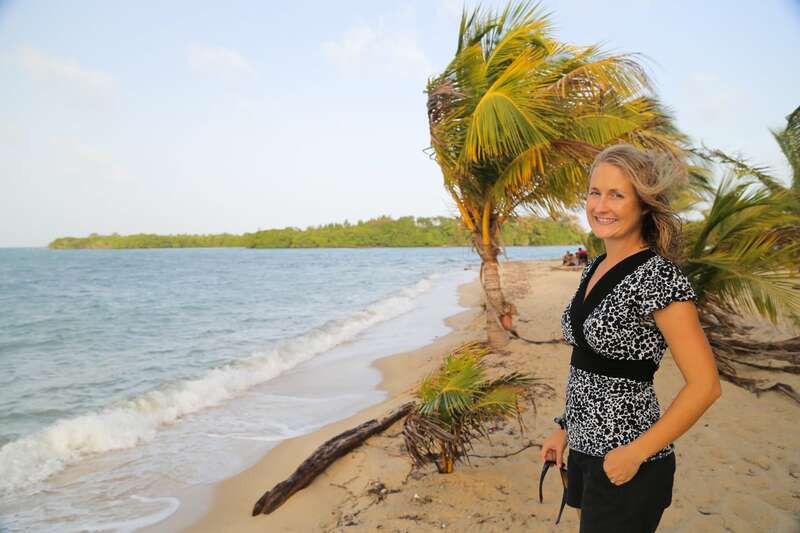 Big event, but still in Belize… You just never know. When we rolled into town, we were initially blown away by how many cars there were, parked along the highway, in sandy lots and everywhere else. We had elected to stay some place new this time (Tradewinds Cabanas), which was toward the southern end of the village, and I’m very glad we did, as our usual place (Sea Spray) was near the center of the action and parking would have been impossible. I was a bit worried about finding some place to leave the car for a few days during a time of festivities (drinking, craziness, etc.) that wasn’t too far from our place. However, once we got south of the water taxi terminal, people and cars became fewer and fewer, until we got to the end of town near our guesthouse and there was no one! I got me some rockstar parking right near the big pier, a stone’s throw from Tradewinds. When Lori and I visited in May, we made it our mission to finally walk around the northern tip and southern tip of the village. The walk north offered a nice sunset view of the village from the other side of the bay. Walking south, we stumbled upon Tradewinds. We had heard people talk about Tradewinds, but figured it had gone out of business because we had never come across it during our visits. 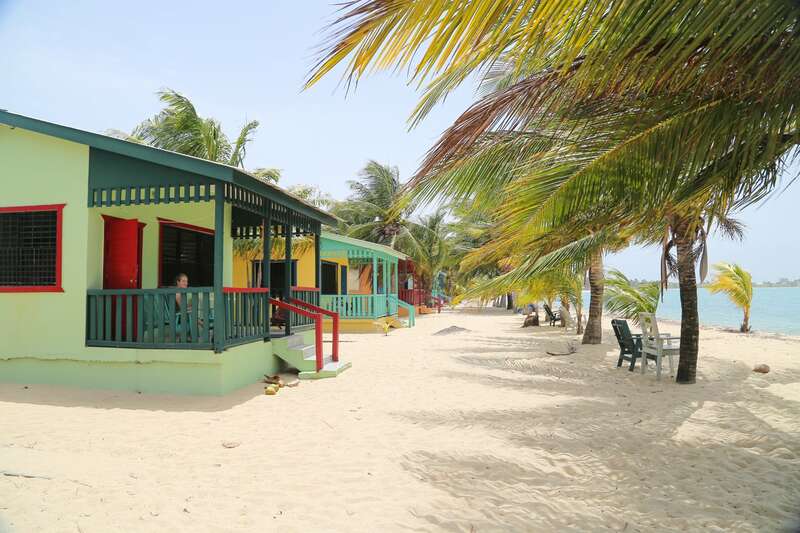 But here it was, freshly painted cabanas with covered porches just feet away from the sea! It’s the kind of place Lori and I loved to stay at in Thailand, but never found in Belize. 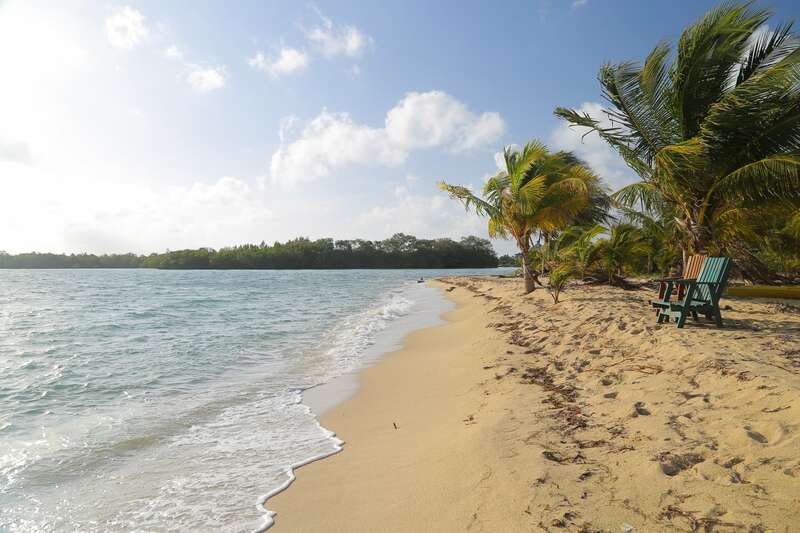 For one, sandy beach is hard to come by on mainland Belize. Two, private cabanas tend to be fairly expensive here. But here we were, staring at a row of very well-maintained bungalows by the sea, with palms and hammocks swaying in the wind. 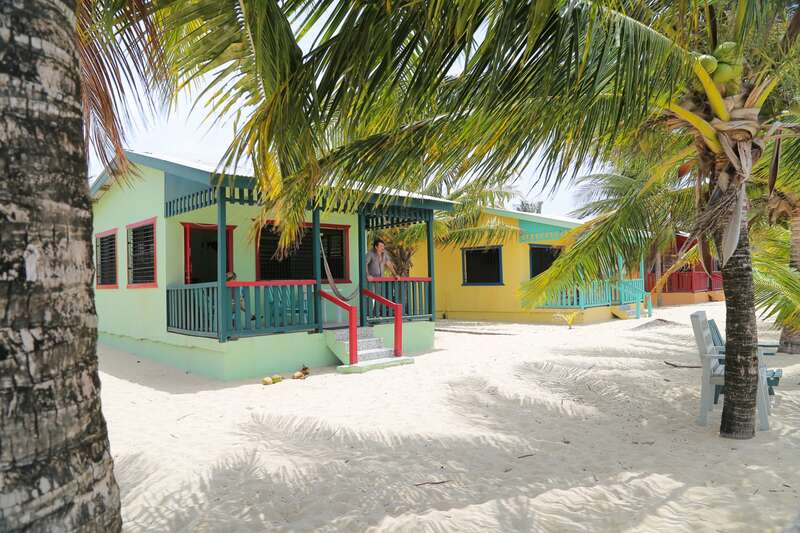 And the best part is that one of these cabanas (with two double beds and plenty of room for four people) cost as much as getting two small stuffy and cramped 2-person economy rooms at Sea Spray (US$60 vs. 2 x US$29)! 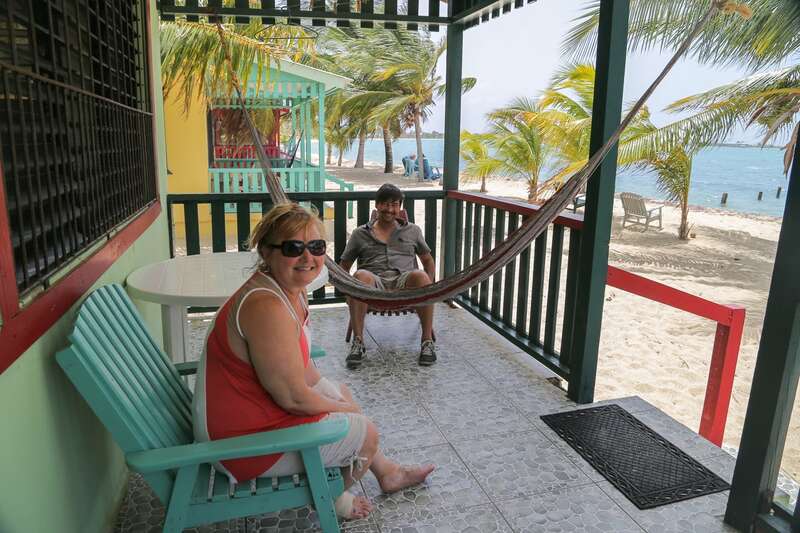 Lori and I have stayed at four different guesthouses now here in Placencia, and would recommend Tradewinds over anywhere else in town. The only reason not to go would be if you’re on a tight budget, in which case Sea Spray (economy), Lydia’s or Deb & Dave’s Last Resort will more than get the job done, but not with the same level of ambience. 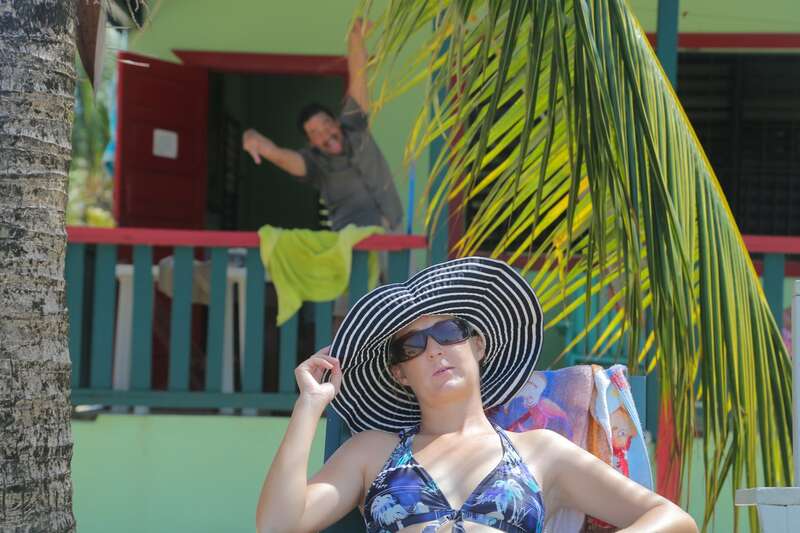 Plus, Tradewinds gets extra points for having the same name as the guesthouse we stayed in on the night we got engaged in Puerto Rico. The spacious inside of our cabana. For a bit more money, Trade Wind’s has got even bigger cabanas as well, but they don’t directly front the sea. 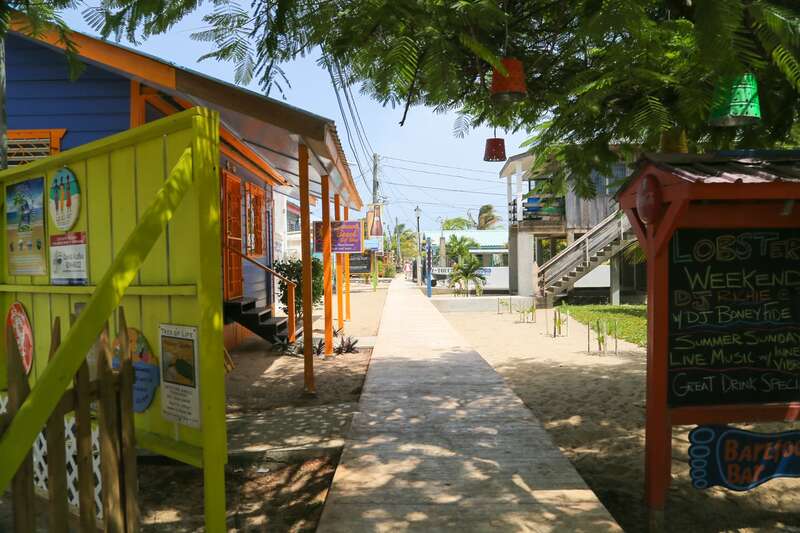 A walk up and down Placencia’s famous ‘Sidewalk’ never seems to get old, morning, noon, or night — though a noon walk requires a far slower pace as it can get blazing hot walking the strip on a sunny day. As with many places by the sea, there’s a marked difference in temperature between walking along the beach and walking down the inland sidewalk or highway. 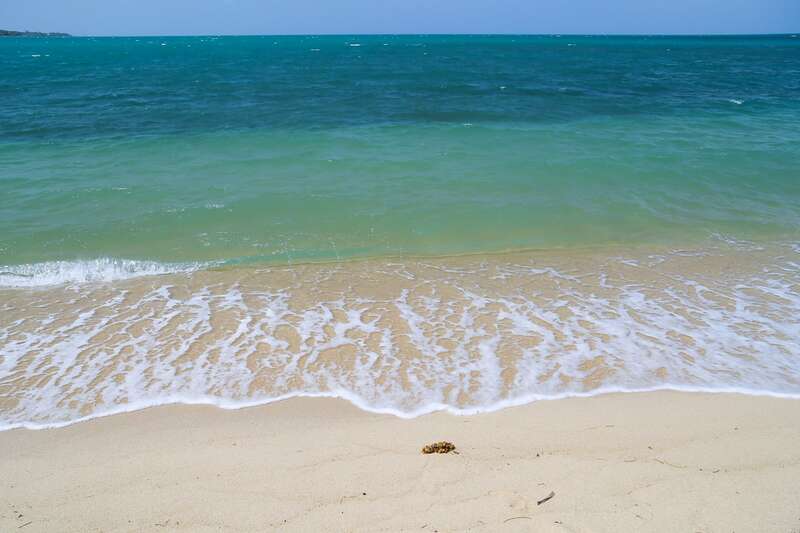 While the beach might not have as much shade, there’s always a nice steady breeze off the water, but take a few steps inland and that breeze vanishes fast. But it’s all good, because the refreshing waters of the sea are never far away. 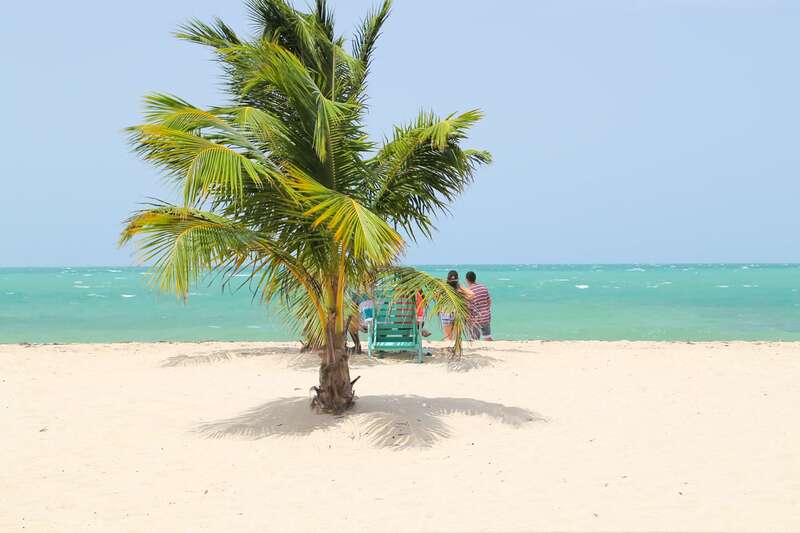 It’s a lot more fun to work up a sweat in Placencia, than running errands in PG — no contest. 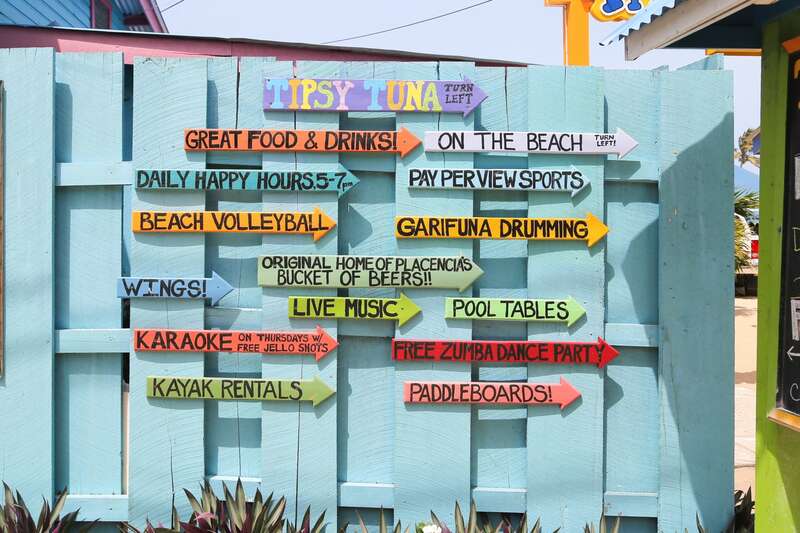 Tipsy Tuna and Barefoot Bar are our go-to places for happy hour, and come to think of it, really the only places for happy hour on the beach. 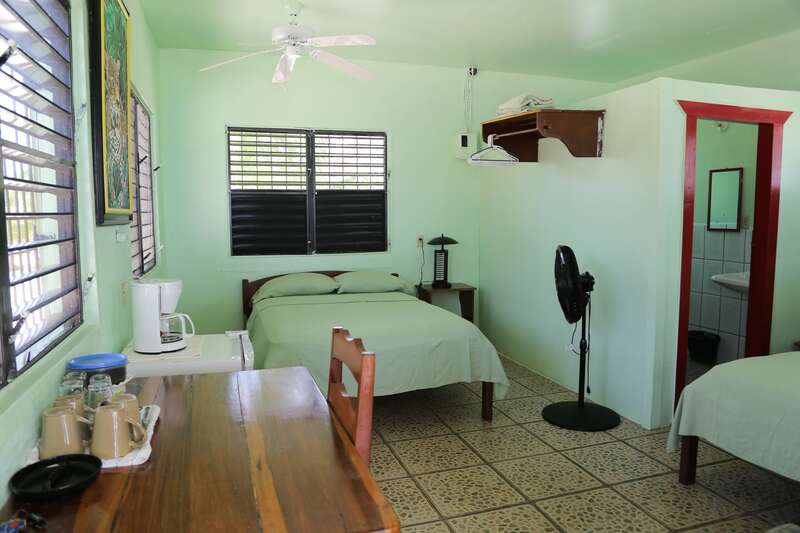 If you feel like taking in more of the laid back local Kriol scene, head to Tipsy. If you’re feeling more in an ex-pat sort of mood, head to Barefoot, or at least that’s been our experience. De Tatch is another one of our go-to places, mostly for breakfast and always for their delicious stuffed fryjacks and huge and colorful fruit bowls. Oh, and the view is pretty unbeatable too. We also like to go to Above Grounds in the morning for a foofy coffee and maybe a bagel. Oftentimes, we’ll swing by Above Grounds first to grab a coffee, before heading to De Tatch for breakfast/brunch. Lately, we’ve started working a Goodies’ mouthwatering cinnamon roll into the mix. And of course, let’s not forget rich, creamy gelato from Tutti Frutti in the afternoon. 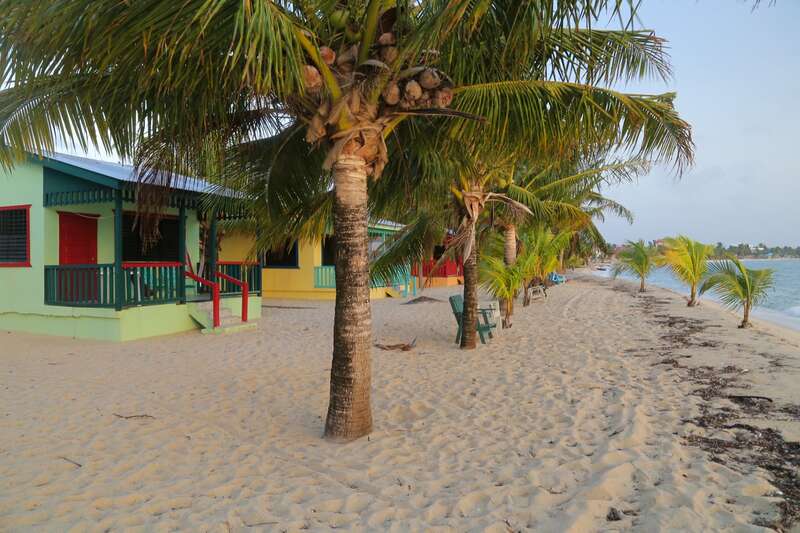 Oh the gluttonous joy that is Placencia! Back to the reason we came: Lobstafest! 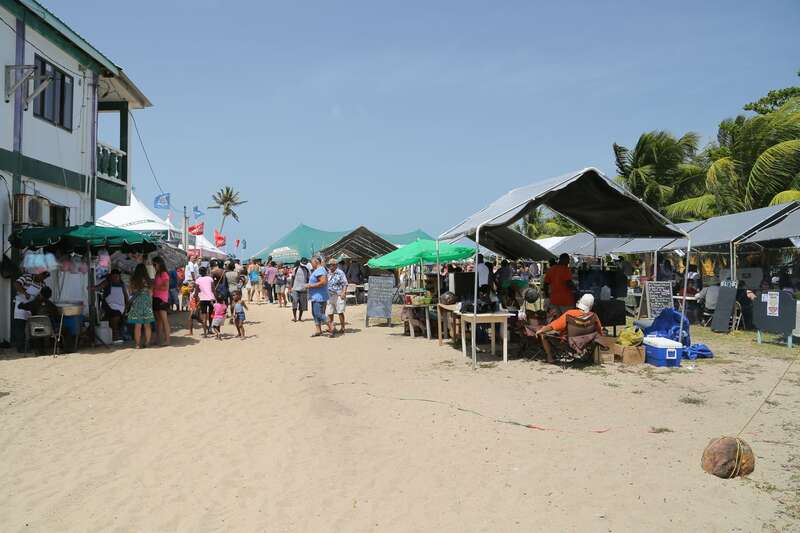 The festive weekend offered shows, booths and events over three days, including steel drumming groups, dance groups, food tents, crafts tents, World Cup tents (this was June 2014, after all! ), live music, raffles, and of course, the mighty (mighty tasty!) BELIZE SPINY LOBSTA! 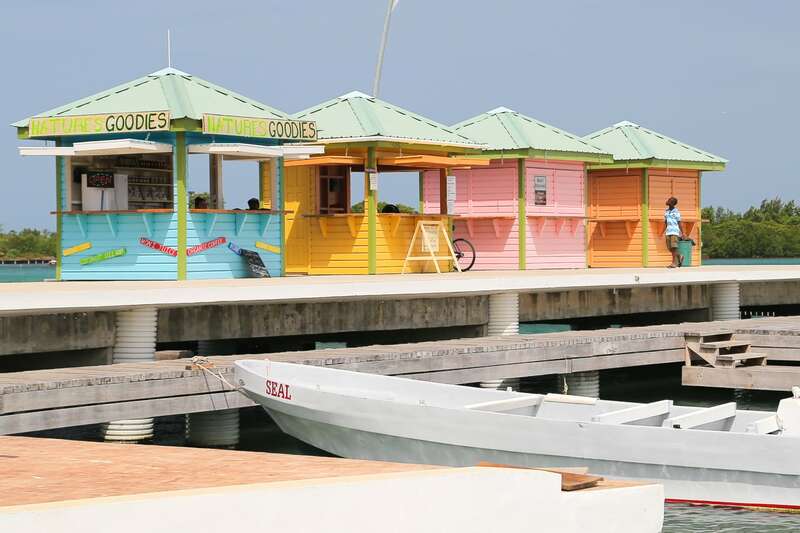 Lobster season had just opened two weeks prior, and places like San Pedro and Caye Caulker had their own Lobsterfests. 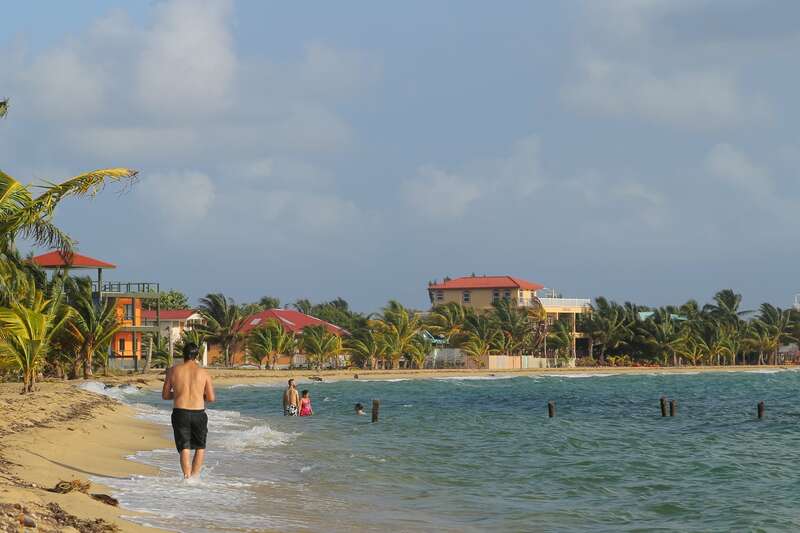 But many say that Placencia’s is perhaps the best in the country — the vibe, the setting, the events, everything. 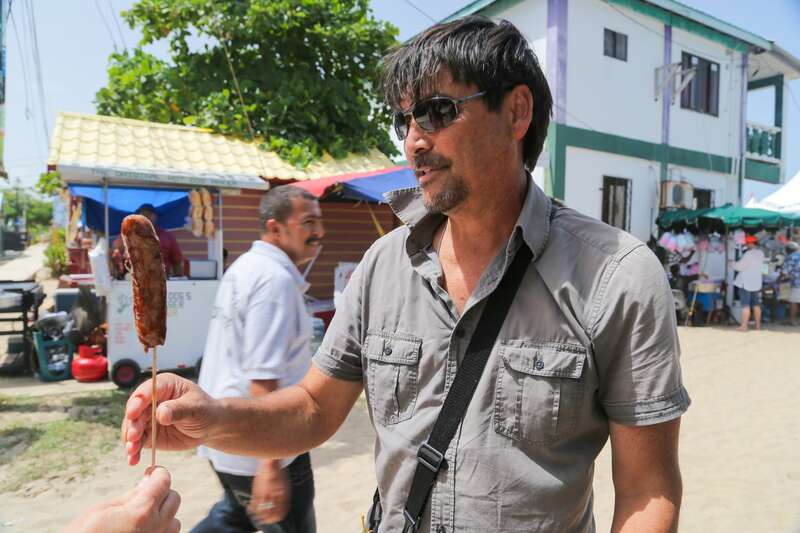 Unlike the U.S., food in Belize (along with most other countries in the world) is very much dependent on the growing (or fishing) season. You can’t just go to the supermarket expecting to find mangos, avocados, cashews, shrimp or lobster whenever you have a craving. Grocers in Belize import very little produce or meats from outside the country (and even the movement of produce is restricted between districts to an extent). 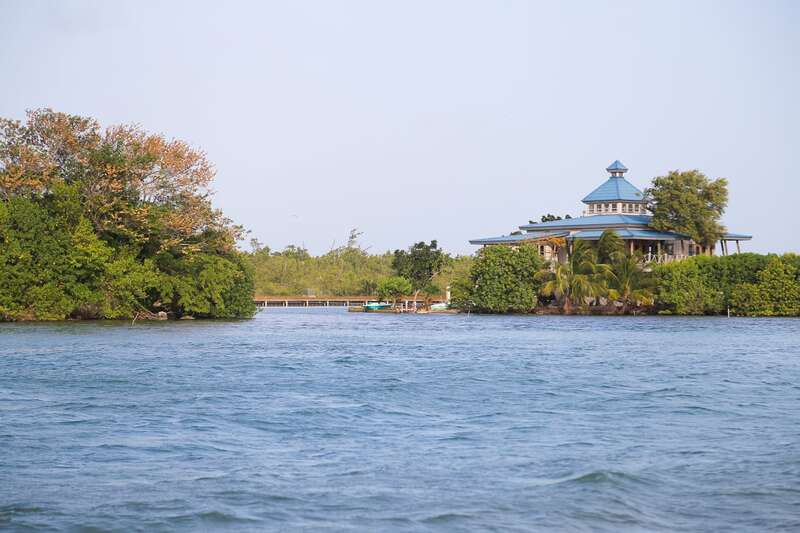 Between February 15th and June 15th of every year, lobster catching is prohibited, in an effort to conserve and sustain one of Belize’s most valuable economic resources. 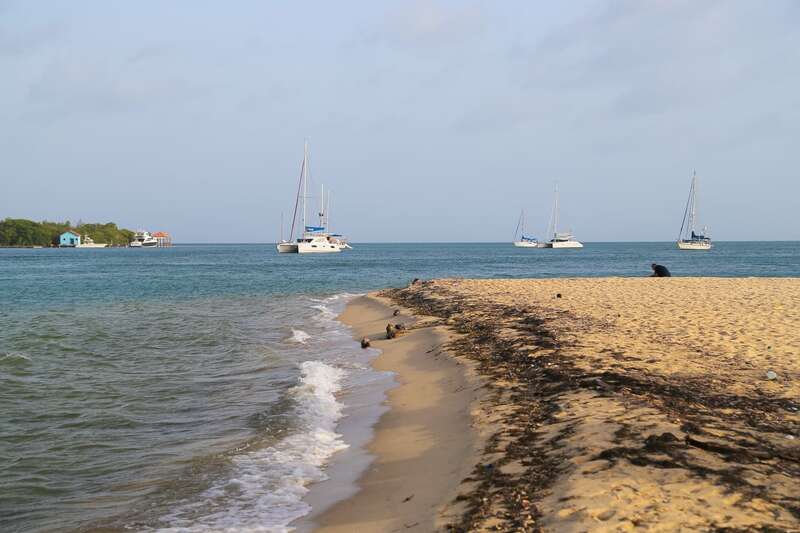 Conch and other exploited marine species also have specific harvesting seasons. The lobster was delicious, and we definitely took advantage of the occasion. But even in lobsterland, sometimes you just want a grilled sausage on a stick. 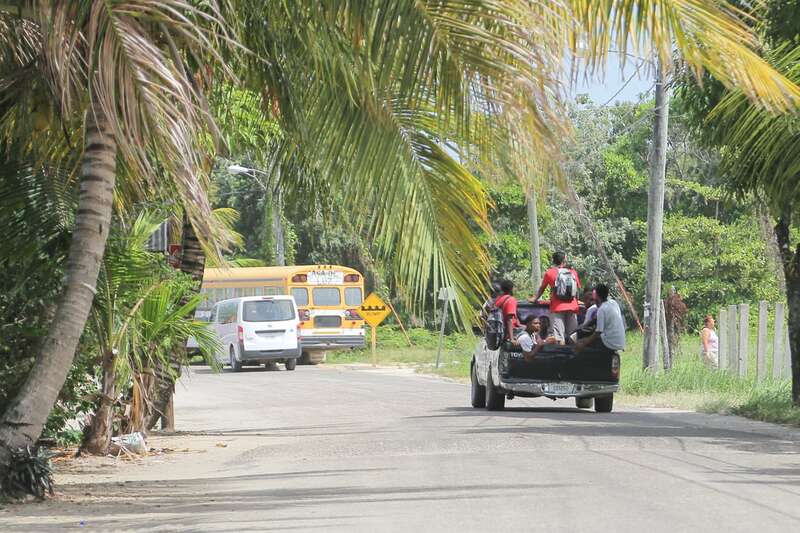 Thank you Belize Mennonites! 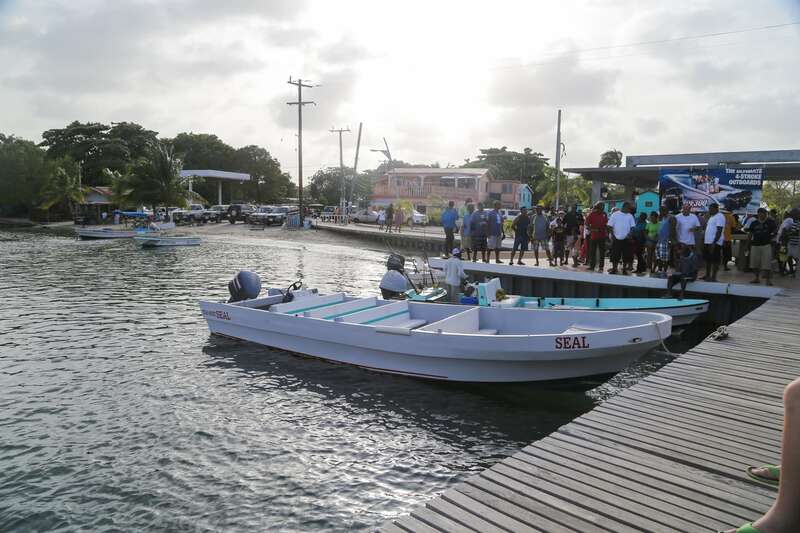 In addition to the festivities happening in the center of the village, we also caught a bit of the annual fishermen’s contest in which fishermen from the community head out early for a full day of fishing and return with their catch around 4p. Amid a large crowd, catches are weighed and prizes are announced. Gotta say, it sounded much more excited than it actually was, but interesting nonetheless. I’ve always felt drawn to the sea, but also a draw to the tropics. Growing up in the Western U.S., I associated seagulls with the thick salty air and frigid waters of the Pacific. But in recent years, the majestic frigatebird has become my point of reference to the sea and a close companion — a constant reminder that I’m far from home, but that’s not generally a bad thing. 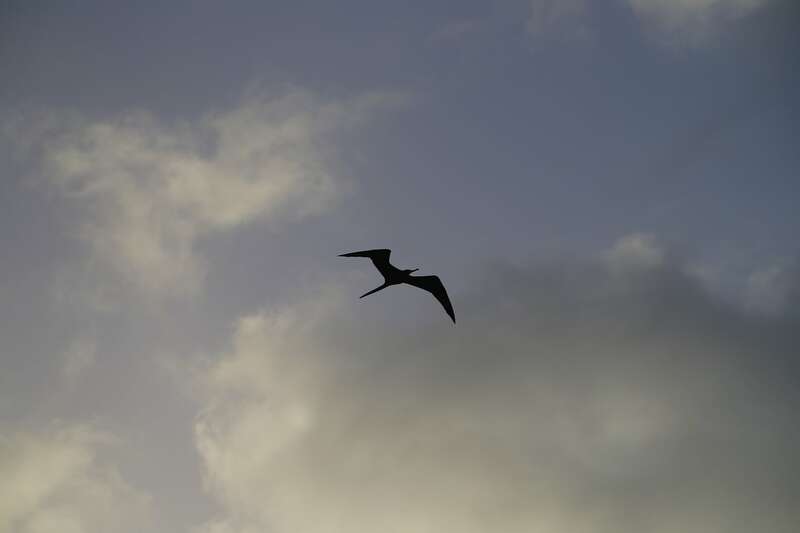 Unlike seagulls, frigates are graceful and honorable flyers that cruise the warm currents of tropical skies diving into the sea to catch their prey. Seagulls, on the other hand, are filthy, unsteady beggars and scavengers that feed on anything they can get their beaks on. To me, frigatebirds are as much a part of the tropics and sub-tropics as coconut trees, shrimp and the re-assuring warmth of the sea and one of the first things I look for each time I return. For dinner, we had lobster (of course!) at Omar’s Creole Grub. We’d been wanting to try Omar’s for a very long time, but they are usually closed on Saturday night. We finally did get to eat there, but you know, it wasn’t fantastic. 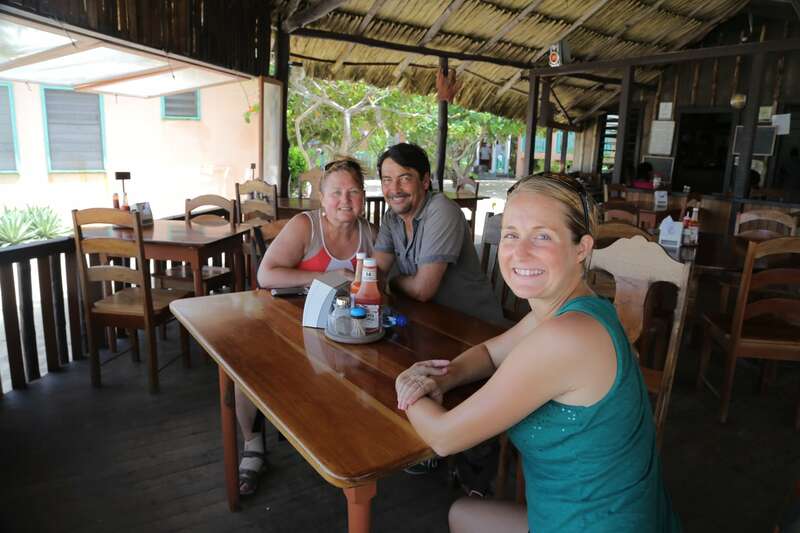 For being a local favorite, the lobster seemed drier and tougher than usual, and the kriol sauce wasn’t as flavorful as Asha’s in PG or Enjoy Bar in Caye Caulker. Maybe we just hit it on an off night. On the second night, all lobstered out at the point (yes, it can happen!) we opted for Dragonfly Moon, Placencia’s answer to dim sum. Lori and I had been here before and had an awesome experience and it didn’t disappoint. If you like dim sum, the food here is pretty legit, in my opinion. The owner and head chef, Jun Ruan, hails from Hong Kong bringing a variety of Chinese food to Belize that is sorely lacking. We got the Jackie Chan platter for four people (for about US$30 total) and were not disappointed. 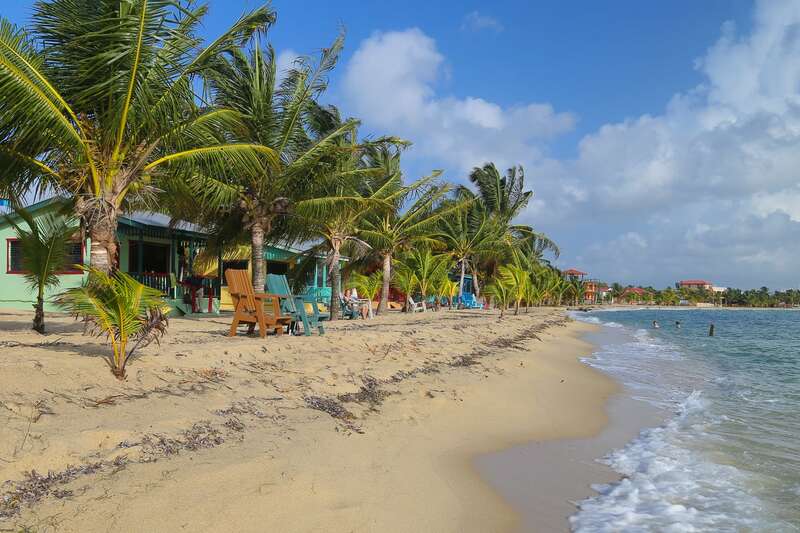 We stayed in Placencia two nights this time around, though one could easily stay for many more, certainly if Tradewinds is your home base. Another great thing about Tradewinds is its location at the far end of town — close enough to restaurants and shops on the south end, but far from the party, which was particular lovely during Lobsterfest. We could have access to as much of the festivities as our hearts desired, but return to our slice of serenity whenever we wanted. 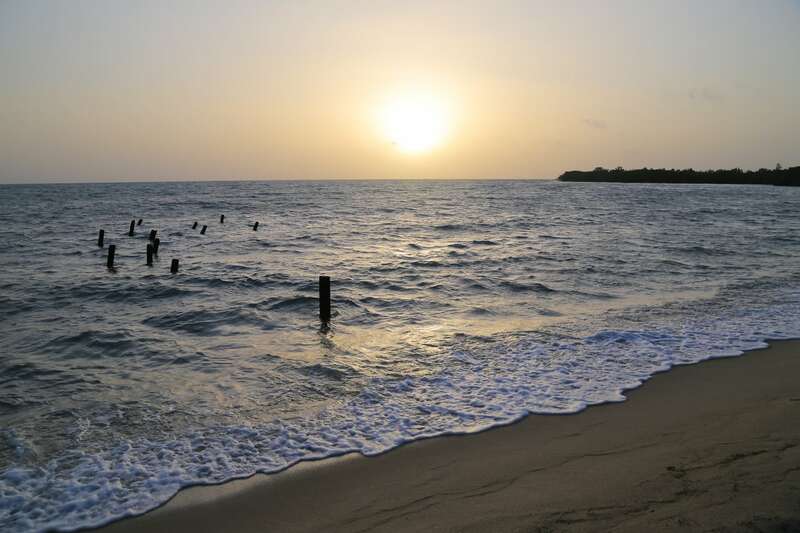 Recently, Lori and I have discovered the rewards of waking early for sunrise in Placencia. I won’t say too much more about that — I think the pictures speak for themselves. Your photography is getting so good David! I love looking at your pictures. It seems like the new camera is treating you well too. All great pix and descriptions. My favorite is the one of Lori in black and white top with wind blowing hair.